Cold but clear conditions have greeted the V8 Supercars Championship teams testing at Winton today. Ford Performance Racing, Brad Jones Racing and Lucas Dumbrell Motorsport have brought both Championship and Dunlop Series cars to the country Victorian circuit. Supercheap Auto Bathurst 1000 wildcard team Dragon Motor Racing is also running today, albeit with a Dunlop development series Holden Commodore. 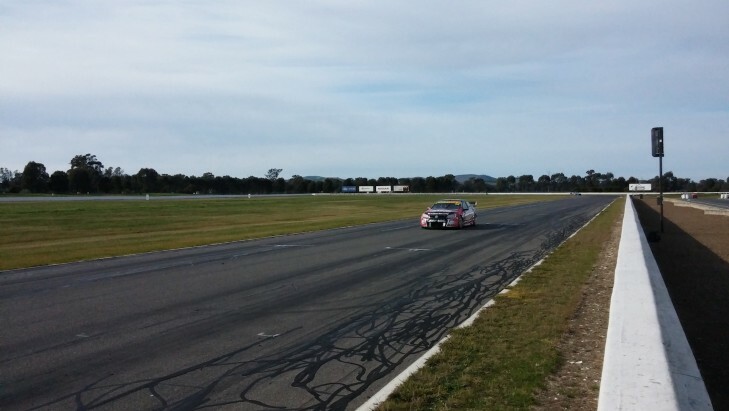 BJR is testing five Commodores at Winton today, including Championship third-placed runner Fabian Coulthard's Lockwood Racing entry, Jason Bright (Team BOC), Dale Wood (Team Advam/GB Galvanising) and the Dunlop Series runners Chris Pither and Macauley Jones. Coulthard's co-driver Luke Youlden and Bright's co-driver Andrew Jones were also getting laps in today. Team owner Brad Jones told v8supercars.com.au the test was going according to plan. "We don't have anything too new to try, we are just going over stuff," he said. "We are just checking what does what and learning a little more about the cars." Jones confirmed the team was using the test to further develop its knowledge of the new Triple Eight 'Mk 5' front upright that was debuted by the team in Darwin. It has yet to make its way into the Bright or Wood's cars and Jones confirmed that wouldn't happen for the next round of the Championship, the Coates Hire Ipswich 400 on August 1-3. "I don't know that it's a huge performance gain and we are learning about it," Jones explained. "We have got to manufacture them and it's all time really." Up until the lunch break the only obvious hitch in proceedings had been for LDM, with Russell Ingall stopping on circuit in the Repair Management Australia Holden Commodore VF with a loose wheel. Team owner Lucas Dumbrell confirmed Ingall wasn't the only driver of the car today, but the team is yet to announce its endurance co-driver. FPR is testing five Falcon FG IIs today, including the Pepsi-Max entries of Championship leader Mark Winterbottom and his team-mate Chaz Mostert, David Reynolds' Bottle-O car and the Jeld-Wen entry of Jack Perkins. Test day going well besides getting locked in the toilet which was an experience!! 3 hours to go! Cam Waters' Dunlop series Falcon is also on-track. TEKNO Autosports and Triple Eight are also testing at Queensland Raceway today.